Staying organized is a problem I have to deal with daily. There are a lot of people out there who naturally can stay organized just by being who they are. Then there are people like me who lose track of time, put off things and then plain forget everything they are supposed to be. This is why momAgenda is my new best friend. momAgenda is a company who wants women to be organized in their day to day lives. Whether you organize your day on an old-fashioned wall calendar, use your phone or computer, it’s always nicer to have a hard copy of your daily plans. I’m not that mom who can remember to put the kid’s schedule, my husband’s schedule, doctor’s appointments, the dog’s grooming schedule, oh! and my daily plans in any form. But, this company has thought of everything. I honestly never thought I’d find a book that I could put all my notes, appointments, computer passwords, and everything else. But, I finally have. And I am so grateful that I have! I was recently sent a beautiful daily agenda. Of course, because it was me, it was pink. What made it even better, it came with my name embossed on it. It has a beautiful button latch that keeps all my stuff in (because let’s face it, I’m a klutz that drops everything). This particular agenda has been named Personal Portfolio and it comes in a very pretty shade of champagne, smoky grey, and my personal favorite shimmering berry pink. This isn’t the only planner that momAgenda has. No, they have lots of different styles and sizes. 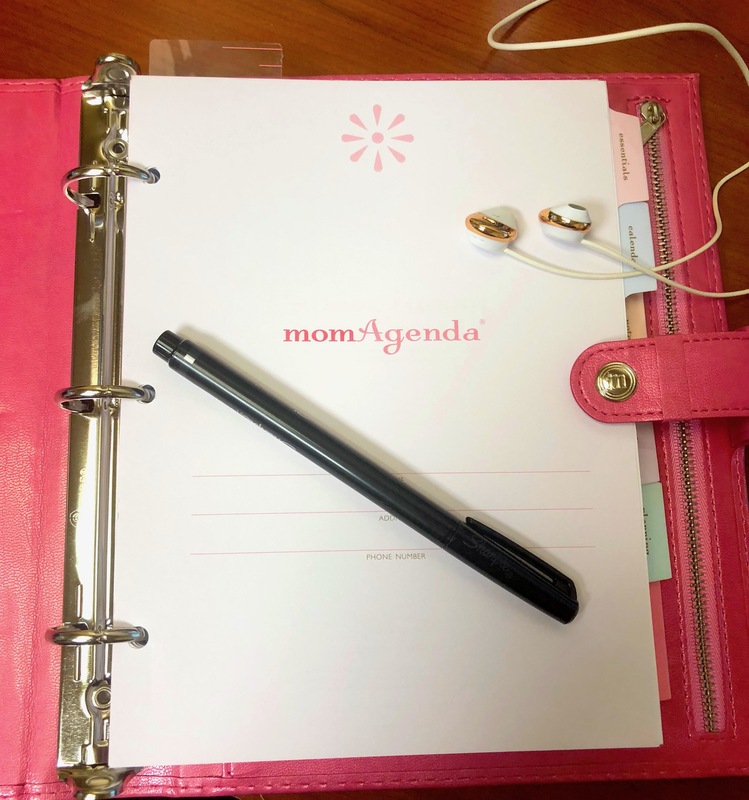 momAgenda has a broad range of planners that offer a solution for any budget. There’s something for everyone. They have day planners, school year memory books, notebooks, journals, pads, accessories, and refills! The refills make me happy. Once I find a book that can help me, I have to start all over again looking because the refills are not available or not being made anymore. This time, I’m super excited that I will be able to go back to momAgenda year after year to get refills for my personal planner. If you want a planner that is spiral bound, momAgenda has some lovely books. There are book bound models, spiral models and the Personal Portfolio is a three-ring binder that opens, closes and can be refilled. Some are very versatile, too. For example, the All-In-One Folio is a wonderful planner that also has a place in the back to add a legal pad! 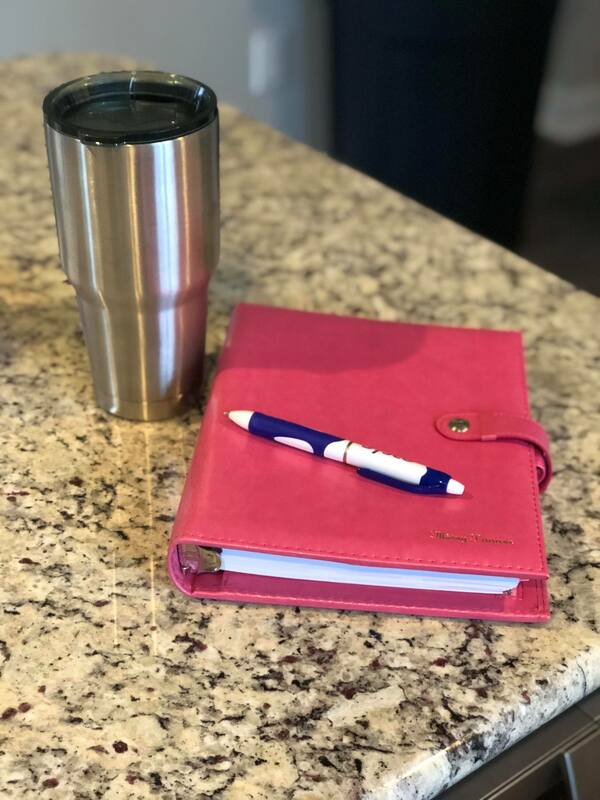 I’m a working mom, so having something that will help me stay organized through all the summer activities, my husband’s summer training schedule, my work commitments, and my daughters job schedule makes my life so much easier. momAgenda has made my life so much easier and a lot more organized. Use code: thisladyblogs10 to save 10% off your next order. Staying organized is so hard! I usually just use a family calendar but this would be so great especially as my kids get more involved as they get older.